I am happy to announce that I will be one of the speakers at the Intelligent Cloud Conference 2019 in Copenhagen, Denmark. This conference will take place from April 8 -10 in Cinemaxx Copenhagen and is focused on the Microsoft Azure. 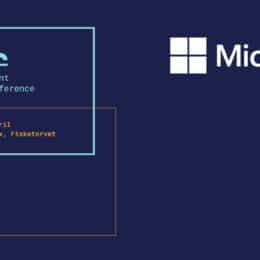 Annual technology conference focusing on the Microsoft Azure Cloud and Data Platform with Precon April 8th and Conference April 9-10th. The conference is driven by the local Azure, Data and SQL communities with support from Microsoft Denmark. The Conference aims to cover the Azure Cloud and Data Platform stack ranging from the vast amount of Azure IaaS, PaaS and Serverless Services, Visualization and Analytics Tools such as Power BI, Data Platform services such as SQL Server, Data Warehouse, Data Factory, Data Bricks as well as connected technologies such as Azure IoT, Machine Learning and Cognitive Services. In my session I will be speaking about extending the Intelligent Cloud to the Intelligent Edge using Microsoft Azure Stack. Azure Stack allows you to extend Azure to your datacenter and run Azure Services under your terms. Find out more about Azure Stack and how it can help you to in your Hybrid Cloud strategy. Learn about the features and services you will get by offering Azure Stack to your customers and how you can build a true Hybrid Cloud experience. In this presentation Thomas Maurer (Microsoft MVP) will guide you through the highly anticipated innovations and experiences during the Azure Stack Early Adaption Program and Azure Stack Technology Adoption Program (TAP). The Intelligent Cloud Conference 2019 will be my second time in Denmark after I was speaking at the E2EVC in 2013. I am looking forward to see you there! If you are joining the conference, please let me know in the comments.